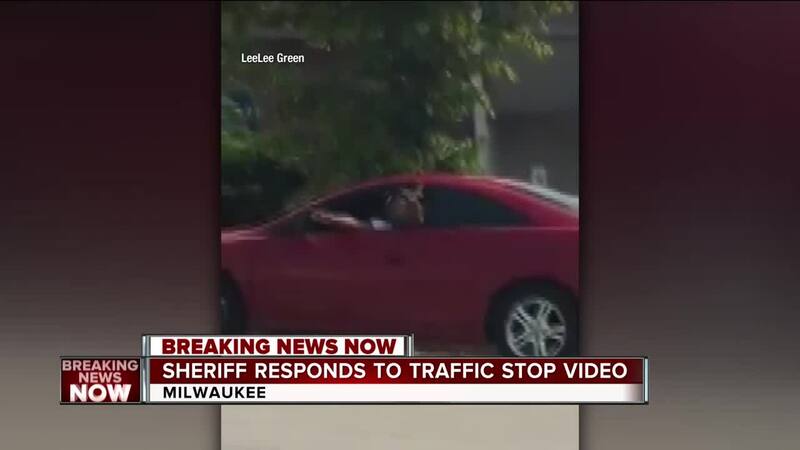 MILWAUKEE -- Acting Milwaukee County Sheriff Richard Schmidt addressed what is seen and heard in a cell phone video of a traffic stop Sunday. 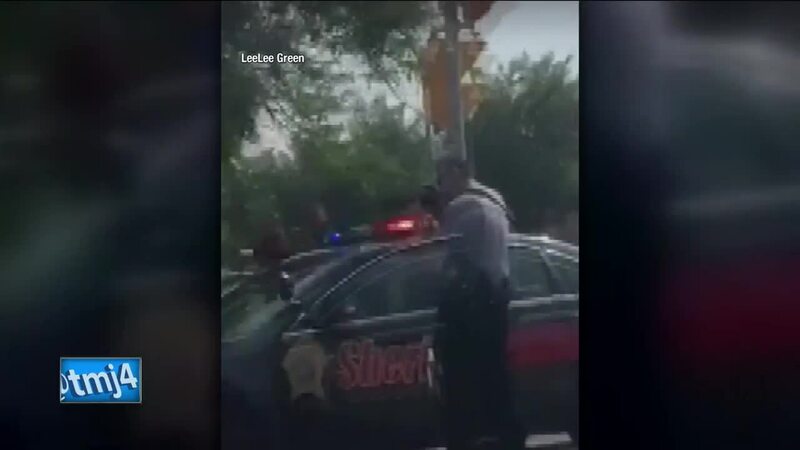 It shows sheriff's deputies drawing their guns and pointing them toward a car caught speeding and blowing a red light near 14th and Walnut. Even more in question, a racial comment was made during the stop. 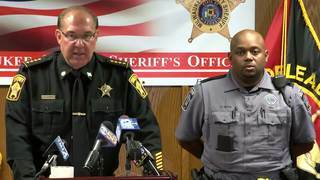 Schmidt said as soon as he heard about what happened at the traffic stop -- he immediately interviewed all three deputies involved in the stop. Milwaukee Woman Says South Side Shooting Victim "Died In My Arms"
He says after a thorough investigation and reviewing multiple videos none of his deputies made the comment. He says the comment came from someone nearby not associated with the Sheriff’s office. Schmidt says this was a high-risk traffic stop around 3:15 p.m. Sunday. He says the driver was speeding, driving 85 miles per hour. He says guns were drawn because the 26-year-old suspect and his 16-year-old passenger weren't following commands. "I have gone through the videos myself. I have watched them, and I am thoroughly convinced that none of my officers were involved in making any unprofessional or racially motivated type statements," Schmidt said. 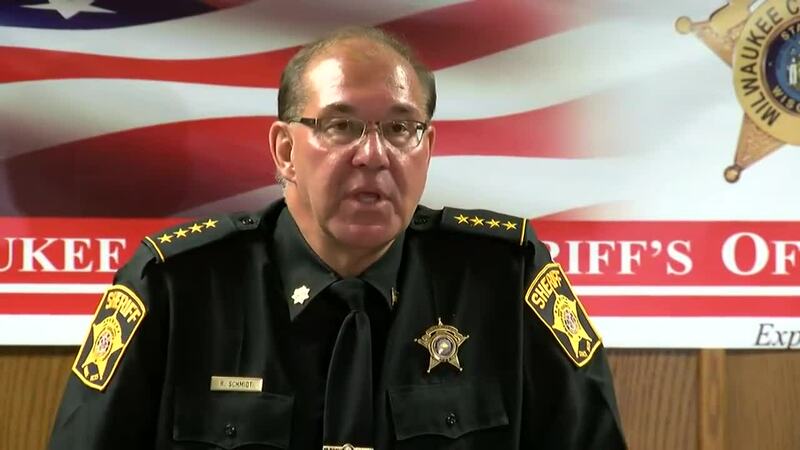 "This sheriff will not tolerate any type of racial statements that are potentially made." The suspect was given multiple citations and his car was towed. Schmidt says if one of his deputies did say the racial comment they would have been immediately suspended.